Summer break is just around the corner, and may already have arrived for some of you! This means it is time to pull out your custom clothing labels and other stick-on labels to ensure all of your and your loved ones’ belongings are still in your possession at the end of the season. Electronics: Your kids may not be able to take their iPad, iPod and e-reader to school with them every day, but you can bet that they will cart them around as they visit friends and the beach or pool during the summer. 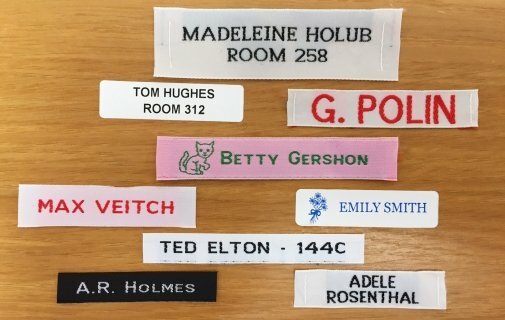 Custom labels help ensure that they are returned should they be forgotten or accidentally taken home by one of their friends. Shoes: People are much more likely to go barefoot during the summer months, especially if you live near the beach. They don’t always start off sans shoes, though, and may leave them somewhere for eventual retrieval. Place a shoe label on the inside of the sole with a phone number, so strangers can return them should you or your loved ones forget where they were left. Clothes: If your child is going away to college or summer camp this season, their clothes are almost guaranteed to get mixed up in their cabin, house, or dormitory. A simple sewn-on label will help ensure that they are eventually returned to the rightful owner. Place these labels on the inside of the collar or along the bottom hem for discreet labeling that won’t embarrass your child.